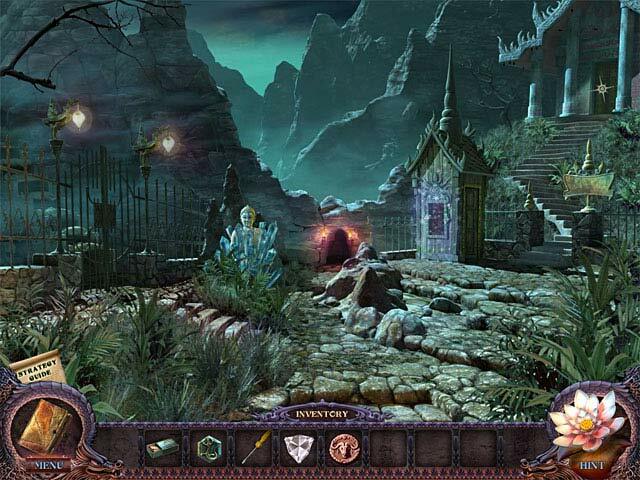 Rated 5 out of 5 by Alenee from An oldie but a goodie Who says that games have to be running on the latest technology to have great scenery, fun games or haunting atmosphere? This game manages to have all those things despite being several years old and having a file size that is less than half of the current games. Also, because it's an older game it's a far better challenge level. There is enough hand holding to make it comfortable, but not easy; the HOS have the perfect balance of detail and difficulty. Added to which, the location in Thailand is exotic but well executed; no tacky cultural mishaps here! A lot of fun and great value if you can get it on sale. Even without a sale, it's still better than the majority of new games I've seen lately. Try it & see! Rated 5 out of 5 by microscope5 from Very enjoyable Was very enjoyable. Contained many different kinds of puzzles of medium difficulty. Well thought out and although perhaps not as long of a game as you might think from other reviews it has a fairly good play time for a HOP game. Rated 5 out of 5 by Suzannemv from One of the Best I really enjoyed this game. You can customize your options, which I prefer. There is no map, so there is some running around to do, but the area isn't so large that it wears you out. The puzzles are varied as are the HOP's. Not to difficult, but not easy. It took me longer than usual to finish this game, just because there was so much to do. I can't say anything about the sound quality because I never use it. I highly recommend this game. Rated 5 out of 5 by cejene from Enjoyed this game. Great long game. Good story. Good graphics. Enjoyed the time changing rooms. You have to remember where everything is. (Now where was that???) The HOS were a little easy but fun. I am not one for puzzles but some of these were different. Really enjoyed them. Rated 5 out of 5 by jtomlin from Worth the money This is a great game...particularly if you like the puzzles. Lots of HOPs. Be sure and take notes. There's no map or task list. Rated 5 out of 5 by crisgori from I love it Nice graphics, varied and well done HOS, interesting puzzles, good length, backtracking and no sparkles (neither HOS) in advanced mode. I couldn’t ask for more in a SE. Rated 5 out of 5 by rosekaufmann from LIGHTING CAN LIGHT THE WAY SUMMARY: Game took 5 hours to complete on casual mode. Changing the illumination in various rooms and having Athit and his protégés change special items into useful objects adds to the drama. Spectacular artistry and light use with the animation special effects. Puzzles, HOS and reverse HOS (putting objects where they belong) are fun; some can be moderately challenging. There were several puzzles that were quite challenging and the last puzzle required a lot of patience, quick moves and planning, but was the most fun of all. Very good production values. Provides for a somewhat challenging afternoon of play. Some tips and details: • Music is pleasant and appropriate to locations. • Puzzle instructions start with “Solve the puzzle” – click the Instructions tab for actual instructions. • Very good voice overs. • HOS are somewhat stylized; so finding objects is not a slam dunk. After completing the list, find a useful object. • Changing illumination provides an entirely different perspective in another era of rooms. Need to change lighting several times to be able to complete all puzzles in the rooms. • Remember where the Athit and his protégés are located because you will be visiting • No need for a map – but remember where the museum, souvenir shop and hotel are as you will be visiting them often. 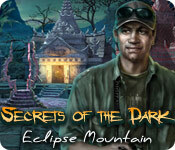 Rated 5 out of 5 by baily731 from really a great game If you like hidden object games, this is a must. This is a lot of fun and you still need to think and work things out. 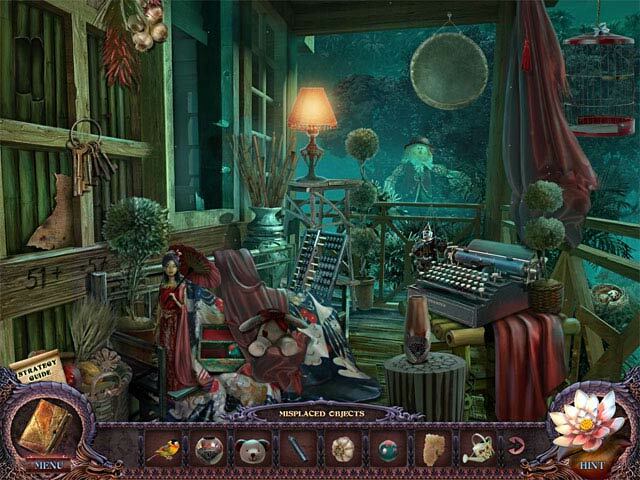 I am picky and get board with so many of the hidden object games and at times really sorry I bought them, not this one and it will take you time to complete the game. Another plus. Rated 5 out of 5 by Knginatl from Challenging game! This is a very challenging, involved game. Lots to do! 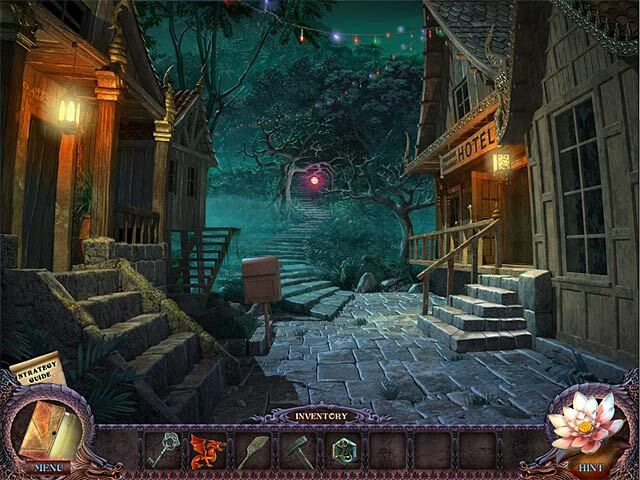 The hidden object scenes were nicely done - some find the object and some replace the object. There are a lot puzzles, some were fairly hard, some were more frustrating. I did use the hint button quite a bit. It only works if there is something to do in the immediate area. Overall, this is a fun, complex game. Pay attention, lots of locations to remember - past and present! Rated 5 out of 5 by alice001 from Great Game! One of the best games I have played yet!! !